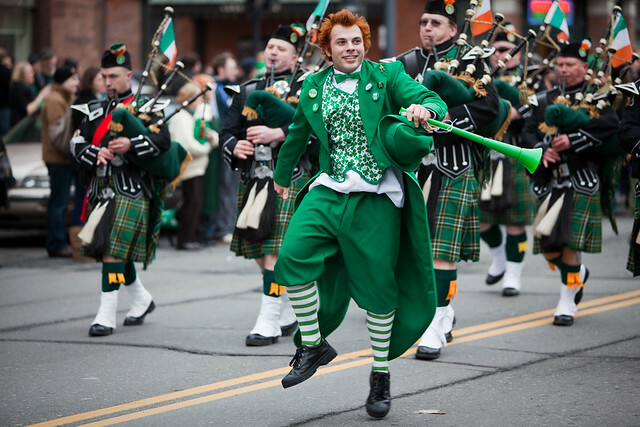 St. Patrick's Day - Albany, NY - 10, Mar - 01 | Flickr - Photo Sharing! More photos of the parade here. Gary Robusto of Guilderland above. Feel free to contact me for licensing opportunities. no3rdw, makeupanid, hectichousehold, and 131 other people added this photo to their favorites. well bagpipes are irish yes well a sort of bagpipipe we call em illin pipes but all the same really, and you dont have to be born in ireland to be irish at heart! fantastic shot. This flickr blog generated some traffic.... well deserved. St Paddy's with a South African Vuvuzela. Nice! You captured the perfect moment, love the joy in his face and the spring in his step. Hi, I'm an admin for a group called Green, Green and Green, and we'd love to have this added to the group! Yay St. Patty's Day! That is one awesome costume. They did give you credit for taking the photo. P.S Happy St Patrick's Day! Seb, did you get it pulled from the App Store? :D I went to check it out and I can't find it! Edit: Oooh, it's for the iPad. I just looked up info on the app and they use the Flickr API to pull interesting shots. Seems strange since they are charging for the app. Proooobably against the API TOS. @US Embassy: thanks for pointing to the link, very appreciated. This is a bit tricky though. While the Creative Commons License allows you to use my photo for non-commercial purposes (I welcome that), you re-uploaded it to Facebook, where photos are governed by a different license (even though you credited me and Flickr, thanks BTW). More specifically, my photos, now on Facebook, could be used by Facebook or third-parties in promotional material or ads. Can you please make sure this doesn't happen by editing your privacy settings and instructing Facebook "not to use your photos in ads". Thank you. @TheEaglesNest: I think Lifelike Cards pulls photos from the Internet, depending on what's happening around the world at that moment, right? Some of the most popular photos I would say. Packaging the photo in the (commercial) app itself would be against the license (though asking me privately does the trick usually). Coincidentally I ordered an iPad, I might double-check. I'm not sure what the drawing power is for Lifelike, the site references Flickr. You won't regret the purchase of an iPad. It's great for showing off pictures, amongst other things.